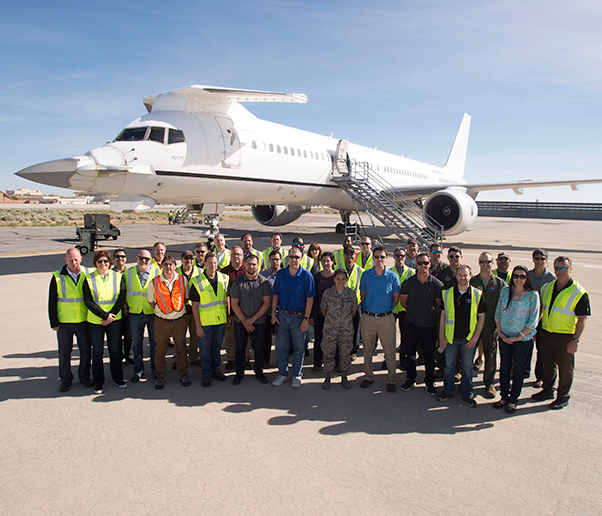 Members of the F-22 Flying Test Bed team pose for a photo in front of the highly modified Boeing 757 May 3. 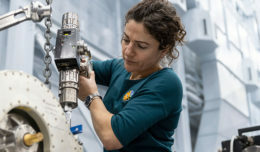 The FTB routinely flies with real Raptors both at Edwards and Nellis Air Force Base, Nev., in order to gain an early look at F-22 mission software before the software is released to developmental flight test, mainly at Edwards. The FTB can fly up to 30 crewmembers. From time to time, the F-22 Raptor Combined Test Force at the 411th Flight Test Squadron at Edwards Air Force Base, Calif., gets a visit from an old friend. 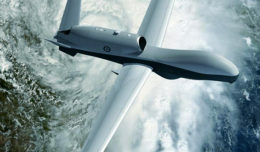 The FTB routinely flies with real F-22 Raptors both at Edwards and Nellis Air Force Base, Nev., in order to gain an early look at F-22 mission software before the software is released to developmental flight testers, mainly at Edwards. 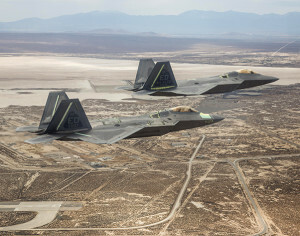 Two F-22 Raptors from the 411th Flight Test Squadron fly over Edwards Air Force Base, Calif.
Kitzmann said this last mission to Edwards was the final flight the FTB took out of Boeing Field in Washington where it had been based since 1999. 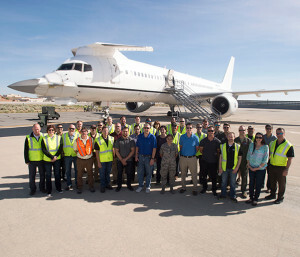 After leaving Edwards May 5, the FTB headed to its new home in St. Louis, Mo.